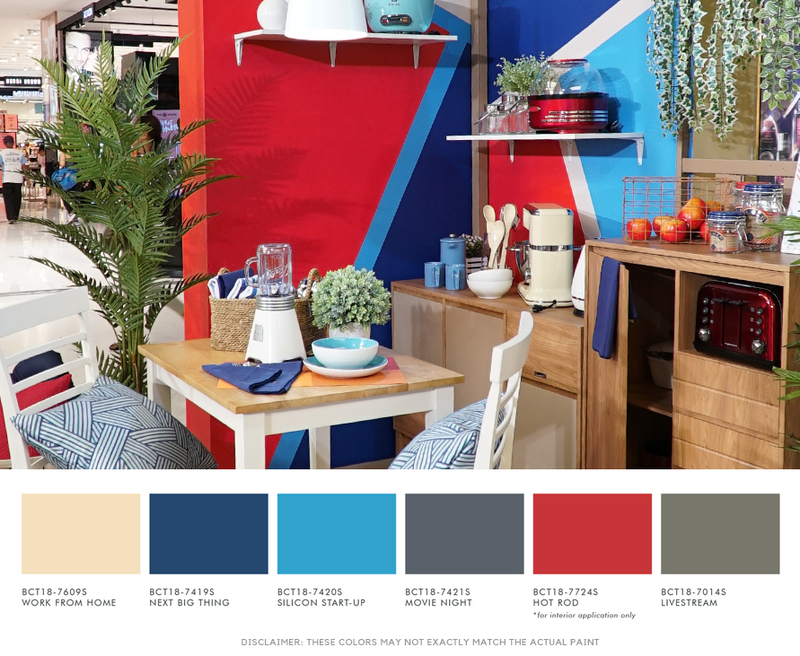 On March 1, we had a media launch of the Boysen Color Trend 2018 in the second edition of the SM Home Design Series “In Living Color”. We presented 24 new colors divided into four palettes, Be Bold + Be Seen + Be Here + Be You = BE BOYSEN. I can write about it here. 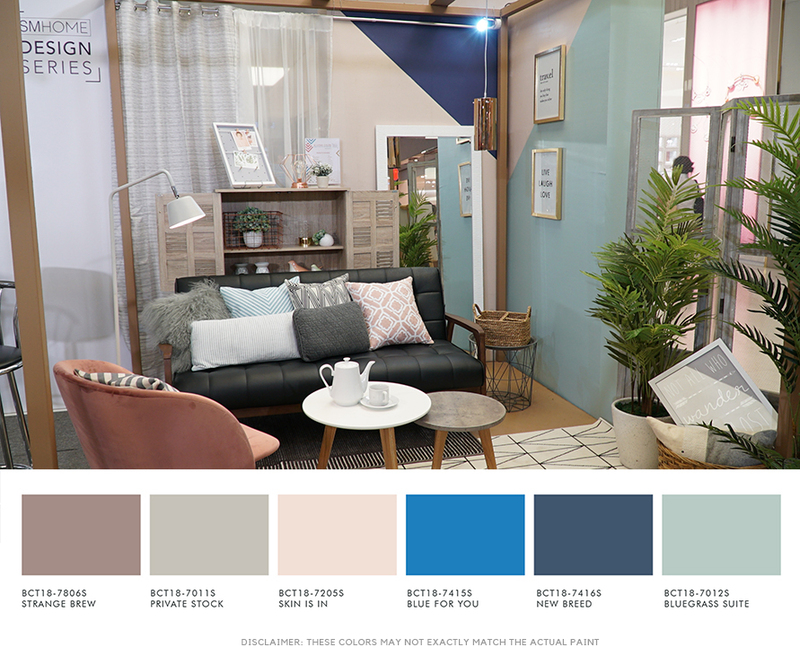 I already did in the post last February 26, Boysen Introduces 4 Palettes for Color Trend 2018. Although I do urge you to read it and look at the color swatches, there is really nothing like seeing the colors come alive. That’s what you’ll experience if you go and visit SM Home Makati. SM Home AVP for Marketing Tom Castañeda got first dibs on using the colors and they look gorgeous! That’s bias right there, but if you see the room sets you’re going to fall in love too. It’s really in living color! Tom worked with four designers to make four vignettes at the ground floor of the SM Makati Concourse. 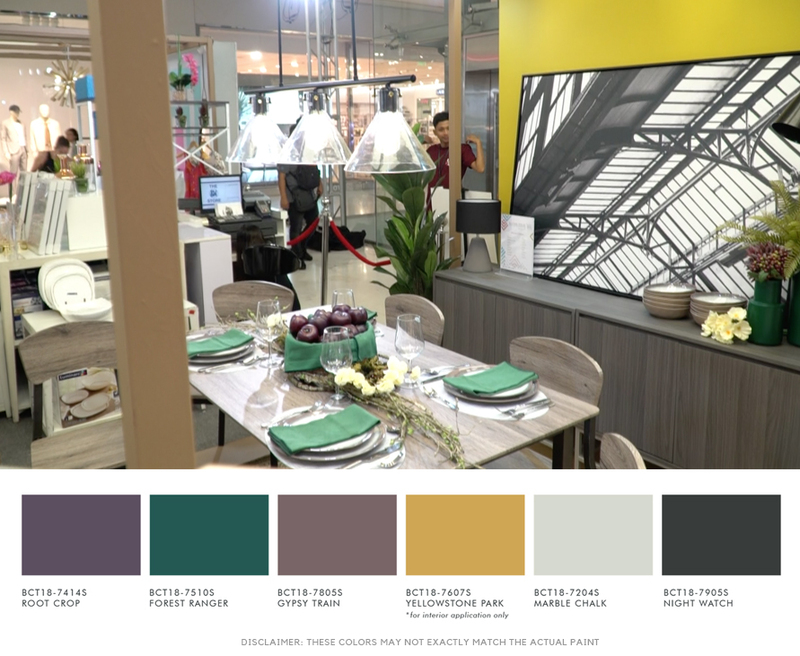 “Cohesion is what makes a design work, and choosing the right color palette for your design objective is essential towards creating cohesive living spaces,” Tom said. “The good news is that designers will always take a client’s color preference into consideration, and no matter which hues you’re most fond of, a great designer can find a way to make it work.” Tom enthuses, “And that’s what our In Living Color series is all about, we’re setting out to give our customers a sense of how color plays into designs as a whole, and helping them find the perfect palettes for their own spaces,” he concludes. Dawn used the palette Be You for her living room. Dawn’s living room shows how you can use a carefully selected palette like Be You to personalize a space. This space exudes calm and harmony, and can be versatile enough to be a place where home owners can enjoy some me time, spend time together, or entertain friends. Allen used the palette Be Here for his dining room. Allen’s dining room showcases the punchy Yellowstone Park as the perfect backdrop for a huge black and white artwork that emphasizes the lines of an architectural feature. That makes a huge statement in this dining room. He chose a combination of dark- and light- colored wood for balance. Note how the lines of the wood grains echo the lines in the artwork. Grace used the palette Be Bold for her bedroom. 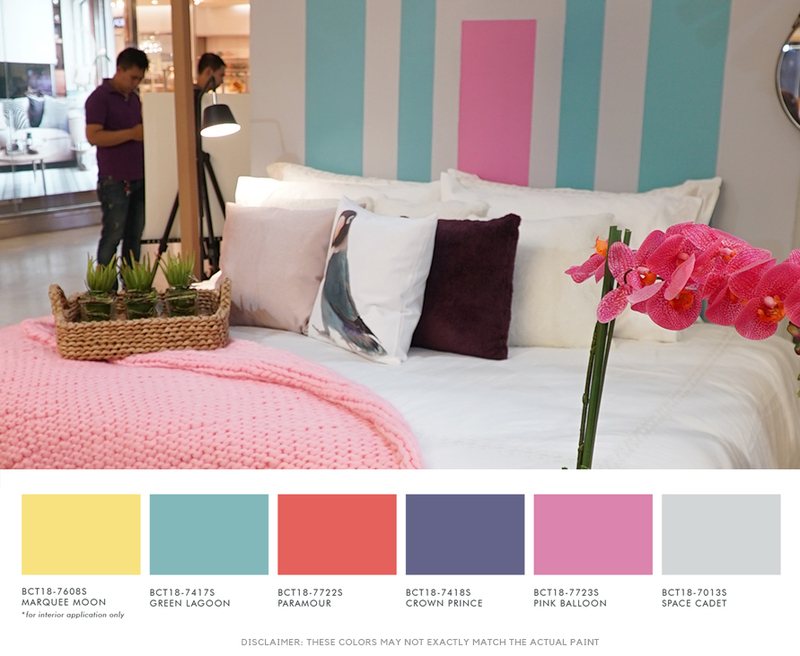 Grace’s bedroom is unexpectedly painted in bright colors. Even then, the result is still a space that is inviting, calming and restful. This is because she chose the Pink Balloon sparingly. You can make your wall your headboard by painting patterns on it, just like Grace did it here. Jen used the palette Be Seen for her kitchen. Jen used bold colors to create a distinctive kitchen, despite its small size. You can use color to “divide” a space instead of building partitions. It’s an easy and affordable design trick to use especially in a small home. The room sets for the SM Home Design Series: In Living Color will be at the ground floor of the SM Makati Concourse. until March 11. Visit also the pop-up store in the area which carries items handpicked by the designers. Make your way to the bridgeway at the 5th floor to see five more setups to get more inspiration on how to combine the Boysen Color Trend 2018 with the furniture and accessories available at SM Home. These vignettes will be up until the end of March. Have fun creating attractive living spaces for you and your family with the help of Boysen and SM Home.